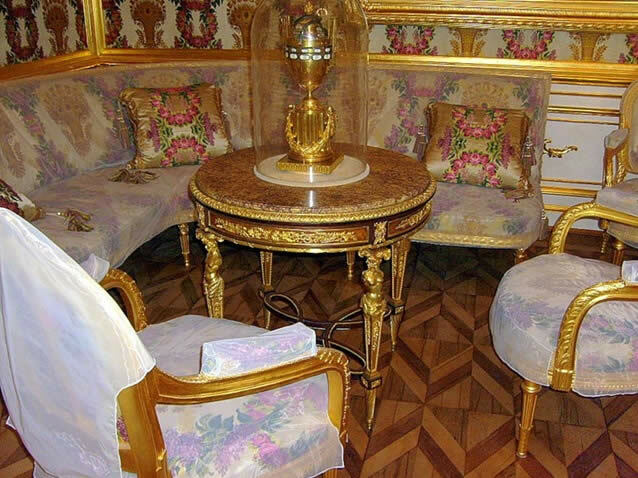 Good Russian paintings, antique porcelain, respectable sofa of Provasi, wallpapers and draperies bronzing – that’s the recipe a comfortable apartment in the style of old Moscow. An important role is played by textiles. You can combine one-color fabric with a cloth in a cage and colorful upholsteries (in the spirit of the English interior). Curtains should be dense and generously draped. 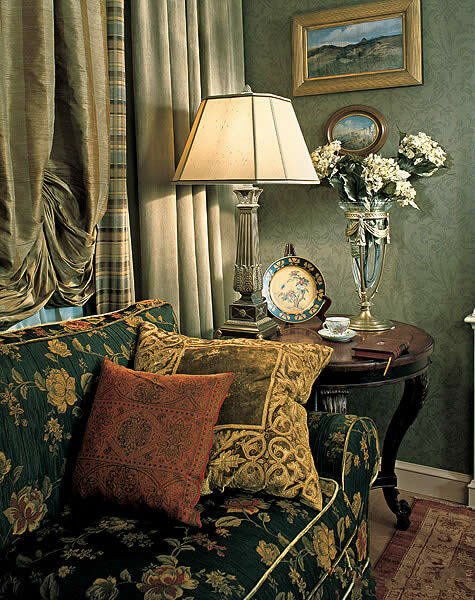 British theme can be enhanced by adding the objects in a colonial style – a vase, a lamp or a statuette. Living Room Design should be rich objects. The feeling of excessive density does not occur if all of the items will match the selected color palette: muted shades of bronze and – in addition – black and dark red color.